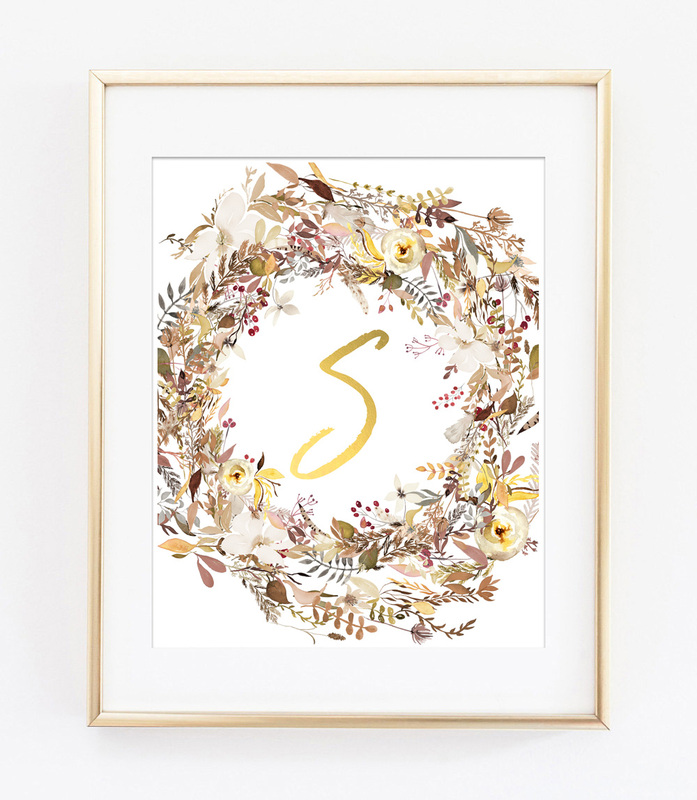 An easy twig wreath that is the perfect way to welcome spring to your home! 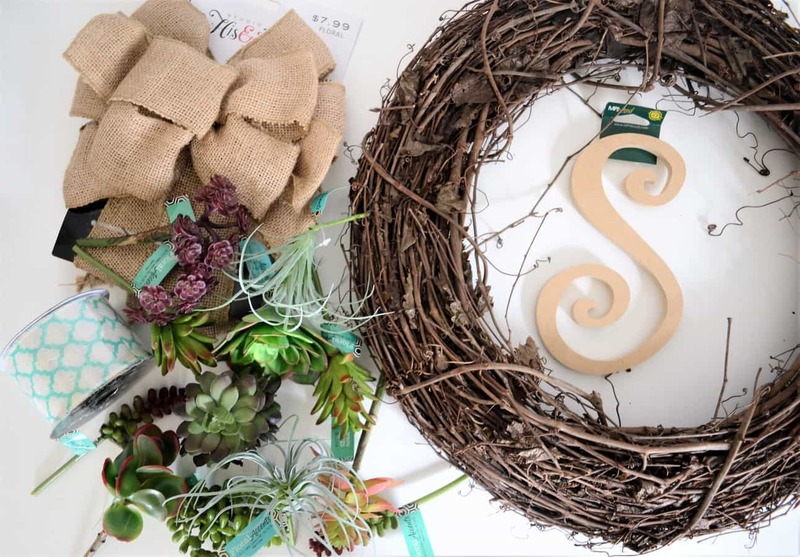 Make this twig wreath using succulents, ribbon and any initial of your choosing! Spring is almost here! 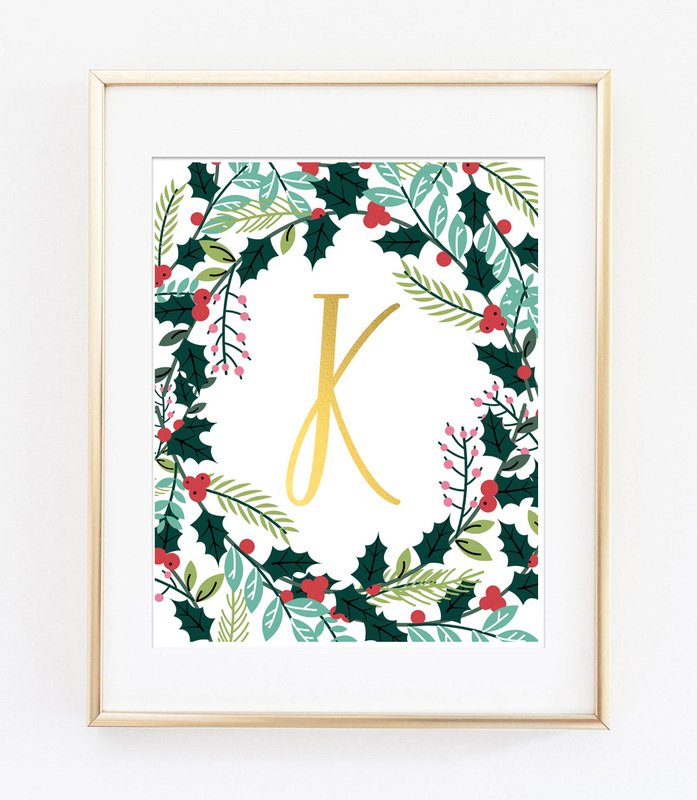 If this is as exciting to you as it is to me, make this easy twig wreath to add some warm-weather flair to your home. 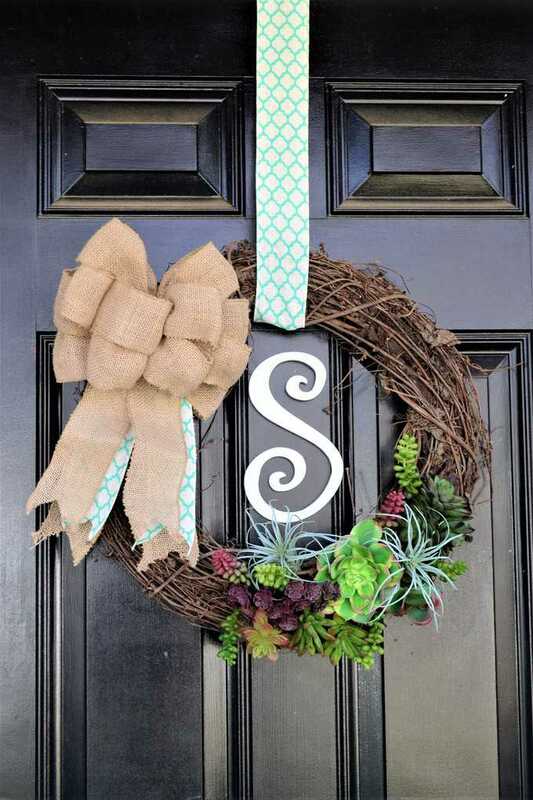 There are so many ways to customize this wreath; make it once and use it for years to come! Step 1: You’ll want to start by trimming the stems of the succulents using wire cutters (if needed). 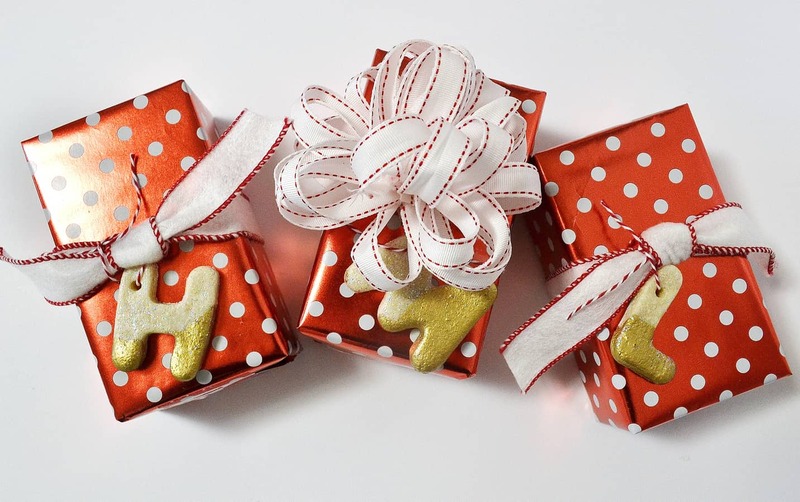 Next, arrange them on your wreath until you are happy with the placement. I did this by placing the larger succulents first (wait to hot glue them until you are sure you’re happy with the arrangement), then filling in with the smaller ones. Next, use hot glue to secure your succulents in place. 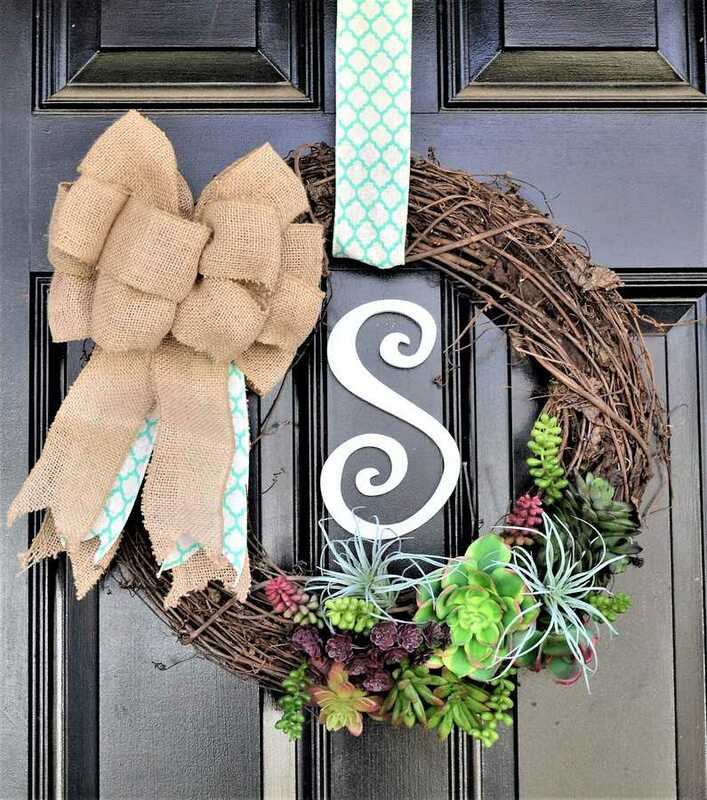 Next, attach your bow to your wreath. I wanted to add a little extra pop of color and pattern to my bow, so I just took a length of ribbon and hot glued it to my bow. This step adds an extra, welcome burst of color! 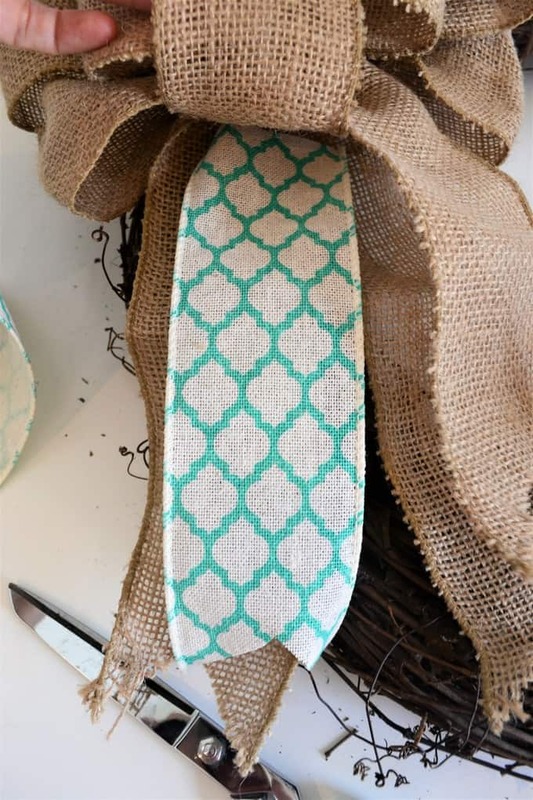 I’ll use the same ribbon for hanging the wreath, so it’s a nice way to create a cohesive feel. 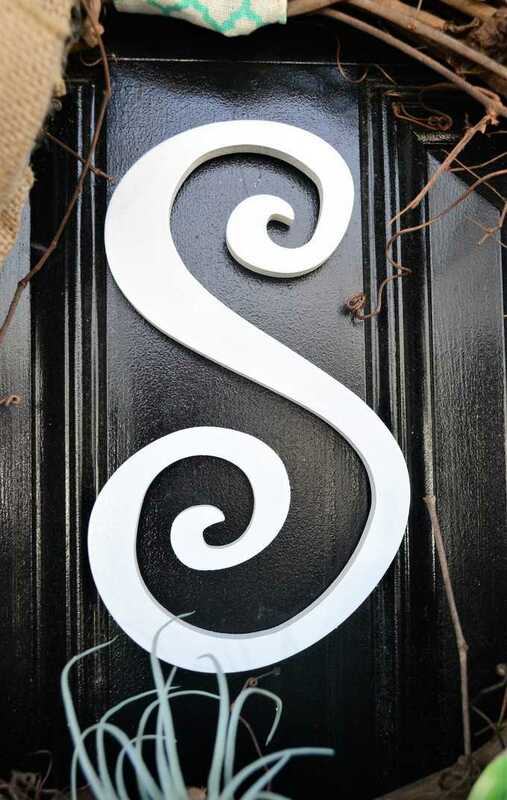 Use command squares to to hang your initial of choice to the middle of your door. I found my initial at Hobby Lobby! If desired, you can spray paint your wooden initial. 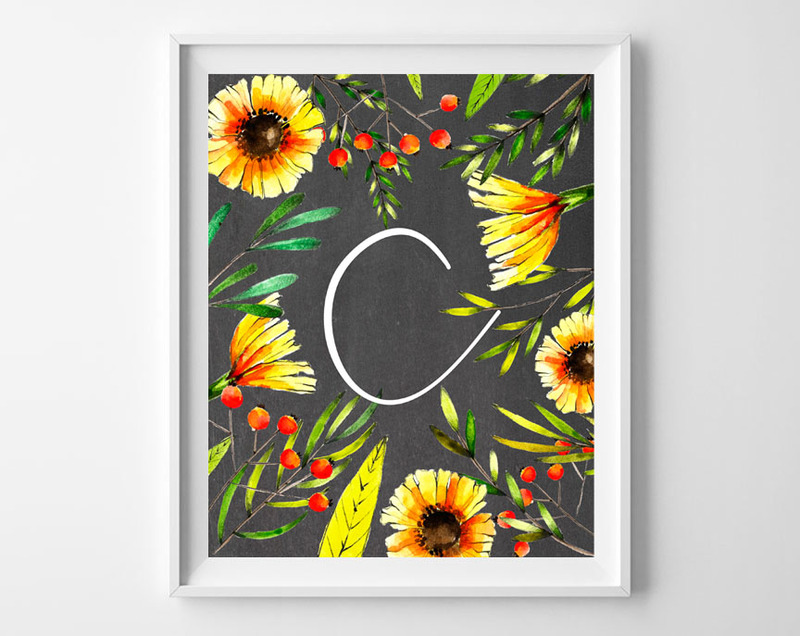 For some added color/pattern, you could also use Mod Podge to decorate your initial with scrapbook paper, fabric, or even glitter! 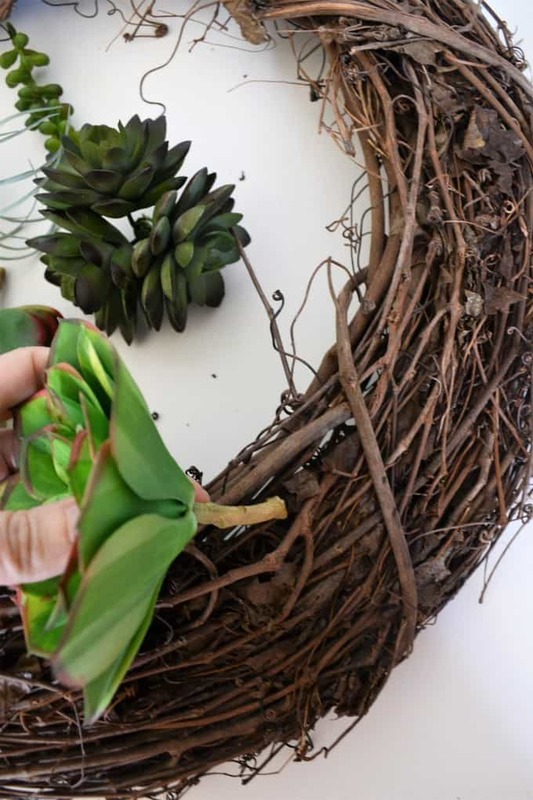 Thanks for reading all about how to make this spring twig wreath! Have a lovely day!